Cockroaches can be found in moist and warm areas. With the weather heating up, the Sydney suburb of Parramatta is experiencing an increase in cockroach cases. The recent development in the area as well as the warmer weather creates the perfect environment for cockroaches to live. Over the last couple of months, various home, office, store and restaurant owners around the Parramatta area have seen their properties being infested by these creepy crawlers. Infestations usually begin in kitchens and pantries, areas where there is an abundant supply of food and water. Once the population becomes too large for these areas to accommodate, they start spreading out. If you fail to take action right action, cockroaches would quickly migrate to other places, hiding in the deep, dark corners of your living spaces. 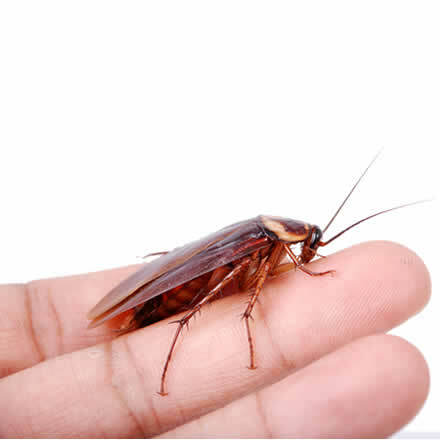 Call us (02) 8007 4666 for Parramatta Cockroach services! Most often, cockroaches turn up in warm and humid locations such as tropical regions and heated areas in homes and offices. In Australia, the most common species would be German cockroaches. These can be found all over the country, except for southern places like Tasmania as they prefer warm and wet areas similar to ones where they originated from. Larger cockroach species such as American, Australian and Smoky-brown cockroaches are very common in warmer regions. As they do not need a large amount of water, they can be found in roof voids, drains, sewers and grease traps. Oriental cockroaches inhabit cooler parts of the country but are very rare in general. Brown banded cockroaches like temperatures over 27 degrees Celsius. They do not need much moisture and hence, can be found in locations without a source of water. Effective and reliable pest control is what Masters Pest Control Sydney is known for. We are professionally trained, insured and licensed in all areas of residential and commercial fumigation. Our family-owned business services Sydney-wide, covering various suburbs including Parramatta. We guarantee pest removal with one treatment and warranty on all our work. Find a location near you. Masters Pest Control Sydney are solving the Cockroach problem in Parramatta. Our focus is on providing safe and natural pest management and eradication, perfectly suited for people who care about their families and loved ones. Contact us today to know more about how we can help you eradicate these nasty pests. Need an expert to solve your Cockroach problems? In need of an honest, friendly and reliable pest exterminator expert? Ask for Robert from Masters Pest Control Sydney. He and his team completely get rid of pests that spread diseases. With the fact that cockroaches closely cohabits with humans, major health threats can arise. They can be responsible for disease transmission, most commonly for intestinal-type diseases such as Salmonella poisoning.